Who are the Pink Singers? 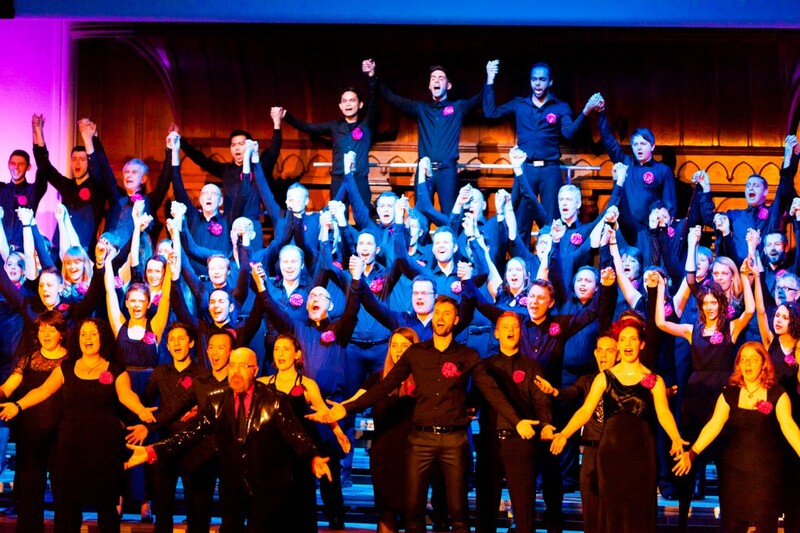 The Pink Singers are Europe’s longest-running LGBT (lesbian, gay, bisexual and transgender) choir. Formed in 1983 with a handful of singers, the choir has grown to a membership of 90 people of diverse ages, nationalities, sexualities and backgrounds. Some joined years ago and have never left; others move on after a few seasons. We are linked by music, but also by the experience of what it has meant to be ordinary LGBT Londoners. Unlike the heritage of most groups, LGBT heritage does not generally pass from parent to child. This exhibition explores some of the themes of our recent past, and shares some of the choir’s individual and collective stories. It is very important that every lesbian, gay, bisexual and transgender person is labelled, preferably in neat handwriting on a small rainbow flag, so that everyone knows where they stand. Because it’s easy to tell if someone is gay, isn’t it? A love of Judy Garland films or k.d. lang albums, showy gestures or fondness for dungarees are foolproof signs. Except that they’re not. 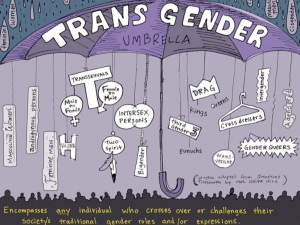 In reality, identity is a complex issue, and a fluid one, where in this age of heightened individualism, the idea of a fixed stereotype is meaningless, just as much for gay people as for straight. The choir’s ethos has changed over our 30 years. But it continues to offer a space where we can be ordinary and ourselves. Why be in a choir? Singing in a choir is both social and communal: a shared activity that takes you out of yourself. The success of the whole doesn’t weigh on one individual’s shoulders, but collectively and equally on all parts. There’s something about singing, especially choral singing, that isn’t easily replicated elsewhere. It gives expression to feelings. It is physical, requiring you to breathe deeply. It engages with music in an intimate way – the human voice is the instrument making this sound come alive. Now, there are those who might claim that some are more equal than others: the sober foundation of the bass section; the flourishes of the tenors; the harmonising core of the altos; or the soaring heights of the sopranos. (As a mixed choir, the Pink Singers is usually split into these four voice ranges.) To the conductor, however, who has to balance, control, guide, enthuse and ultimately lead the choir to transcend what a lone voice could attain, each section is as vital as the next. Why be in a gay choir? Despite huge political and social changes, it is still the sense of community more than any other single reason that keeps people coming back to the choir. This togetherness through singing in a welcoming, non-judgmental space is something shared by a growing number of LGBT choirs. The Pink Singers may be the UK’s longest-running gay choir, but we are by no means the only one out there. The LGBT choral movement started in North America in 1975 and now counts over 250 choirs worldwide in its ranks. Most British cities have their own LGBT choir. Gay Abandon in Leeds, Brighton’s Rainbow Chorus, Out Aloud in Sheffield, Edinburgh’s Loud and Proud, Sing Out Bristol and the Manchester Lesbian and Gay Chorus are just a few of the choirs in an increasingly rich and vibrant movement. 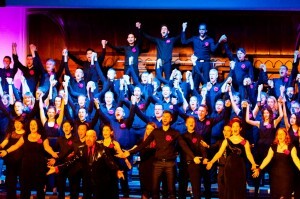 In London, there are three established choirs: Diversity, the London Gay Men’s Chorus and, of course, the Pink Singers.